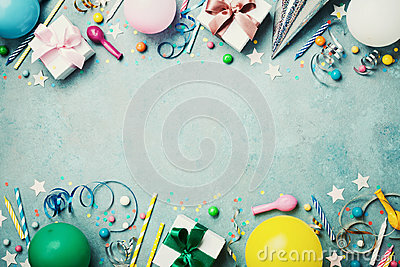 Birthday party banner or background with colorful balloon, gift, carnival cap, confetti, candy and streamer. Flat lay style. Copy space for greeting text.